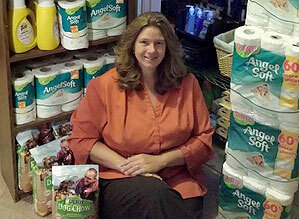 A Macon woman decided to maximize her money with coupons, and she was able to help a family in need as a result. Amy DiPietro took a couponing class several years ago, but she really didn’t put what she learned into practice until this summer, when she started talking to co-worker Brandi Robinson about the practice. “It gave me somebody to bounce ideas off of,” she said. DiPietro, a hospital/homebound teacher with the Bibb County school system, said it didn’t take long to pile up more toiletries and other home goods than her family needed. So she began donating to the Mentor’s Project of Bibb County, but it didn’t stop there.